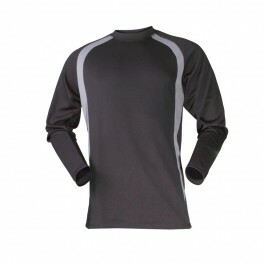 The System Hygiene Baselayer Thermal Vest is designed to keep the body warm in cold conditions. This baselayer has a `wicking layer` that is designed to remove moisture and prevent chilling. It also is a snug fit for superior warmth and is longer in length than most baselayers on the market; this is so the lower back is protected. Other features of this baselayer include a crew neck with self cuffs, brushed fabric for maximum comfort and 100% polyester construction for easy care. For matching Baselayer Thermal Leggins see code WOR725. Snug fit for superior warmth. Brushed fabric for maximum comfort. 100% Polyester construction for easy care. Longer length to protect lower back. Wicking layer removes moisture and prevents chilling. Low density fibres trap air next to the skin. Crew neck with self cuffs.